The concept of tree removal sounds basic to most people. If you have a tree on your property that is badly damaged, diseased, or dead or you have a tree in an area that you plan to renovate on your property, you need to take the tree down to dispose of it. Unfortunately, many people take the thought to heart that removal is easy, think they can do it themselves, and then disaster ensues when the tree takes down power lines, lands on a car or hits their home. Tree removal in the San Fernando Valley is far from an easy thing to do, and the work is best left to the professionals like us at Your Way Tree Service, Inc. if you want the job done right. Removing a tree safely and properly takes more than just bringing a chainsaw along and cutting down the tree. A plan needs to be formed so that there is an understanding of how the tree will fall and the safest way to approach the removal. When we come on site to look at a tree for removal, we use our experience and understanding of the process to determine the height of the tree and its relation to objects and structures that are nearby. We can then formulate the right direction the tree needs to fall and find the best method to do this for you. For tree removal in the San Fernando Valley, once a plan is developed, we can set up cutting the tree, in sections if needed, using the tools and equipment we bring with us to do the job correctly for you. Once the tree itself has come down, we can then take care of the stump for you. Stump removal is not always easy either, and we use the best tools for the job to remove the stump and then can perform stump grinding for you so you can use the grindings to help enrich the soil. With our help at Your Way Tree Service, Inc., we can make your tree removal in the San Fernando Valley much easier and safer for you. 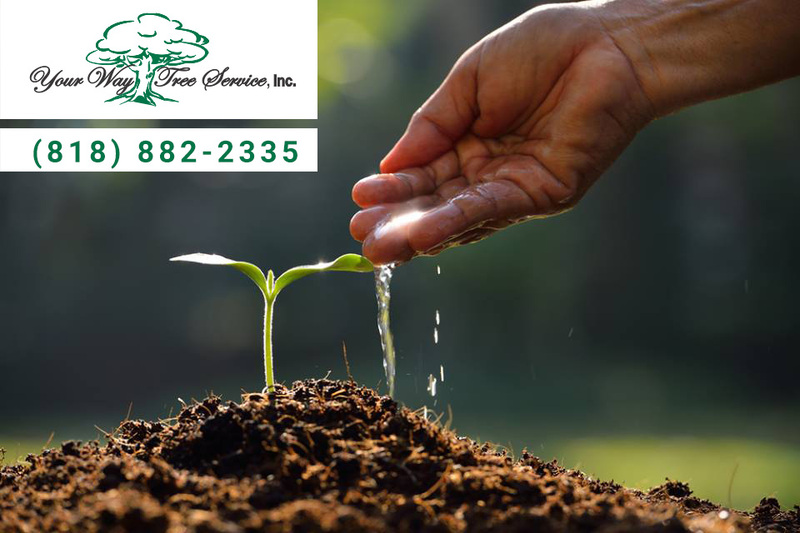 Make an appointment with us by calling 818-882- 2335, and we can come out and look at the trees in question and provide you with an assessment so you can learn how we can help you remove your trees to help your property look its best and stay safe for your family.